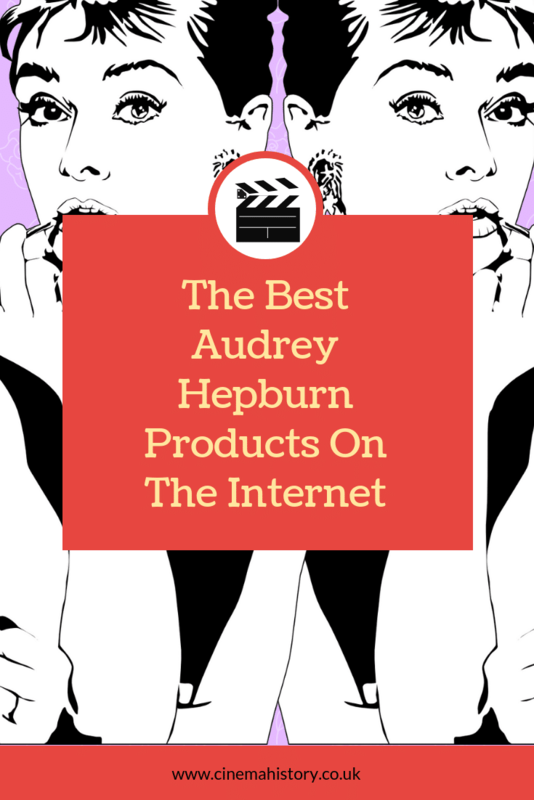 Audrey Hepburn is one of the nicest people in Hollywood. Her pleasant attitude won over everyone with whom she worked. Her work ethic also drove her passion for making a change in the world. If anyone in film history should be an icon, it’s her. Hepburn’s style, professionalism and work with UNICEF has left a lasting legacy. 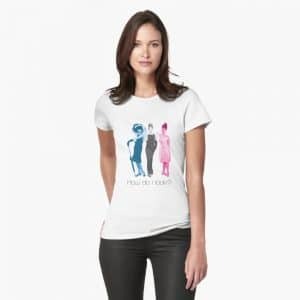 A gorgeous casual t-shirt based on a few of Hepburn’s costumes from Breakfast at Tiffany’s. We love the cute colours on this top. 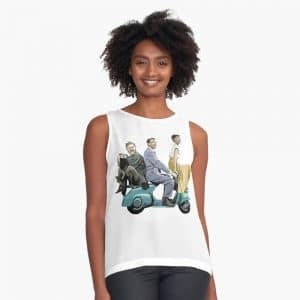 Roman Holiday was Hepburn’s first Hollywood role. Her attitude and talent won over Gregory Peck, who asked the director to promote her to star billing slots on publicity material. His contract stated he would be the only name on the posters. The role won her an academy award and a lifelong friendship with Peck. 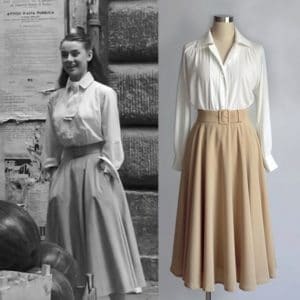 A gorgeous skirt based on Hepburn’s look in Roman Holiday. This skirt is perfect for putting a little bit of Audrey glamour into your work wardrobe. Statement necklaces are on trend at the moment. 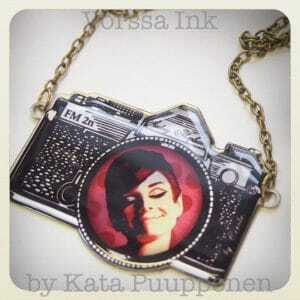 This Hepburn necklace features a gorgeous old-school camera and an adorable picture of Hepburn. Audrey Hepburn and sunglasses go hand in hand. From Breakfast at Tiffany’s to Publicity shots, sunglasses are a staple of her wardrobe. We love these tortoiseshell sunnies, which ooze a Breakfast at Tiffany’s vibe.